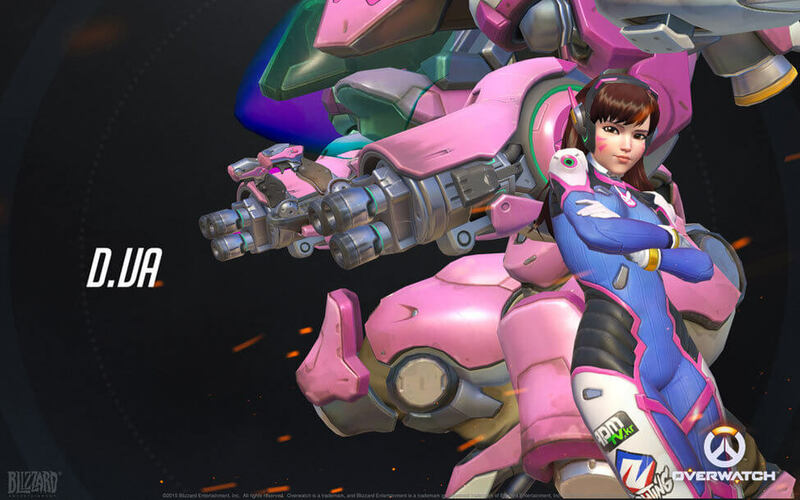 Along with Tracer and the rest of the Overwatch gang, we’ve already published guide to help adults dress up as D.Va. But what if you the person you want to dress up is a bit more diminutive? From newborn to toddler, this is just the guide for you. 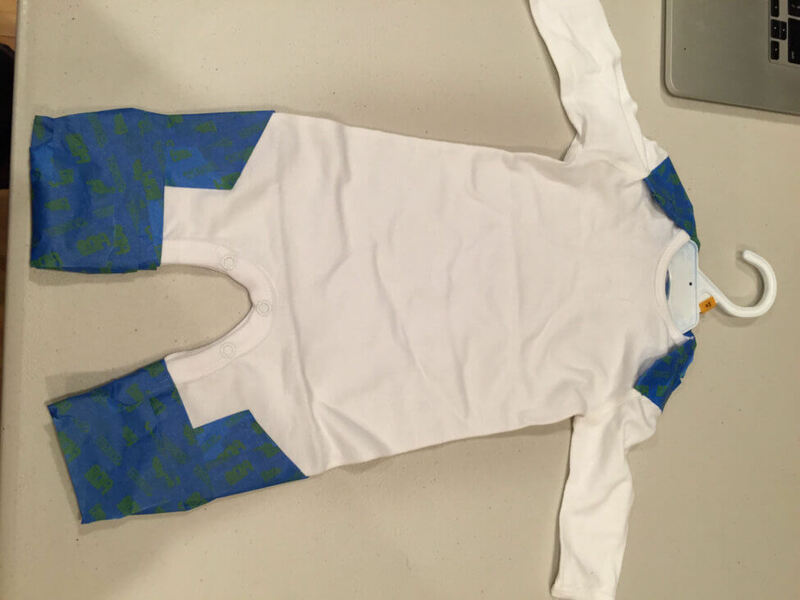 Start by getting your hands on a plain white sleep-and-play onesie. 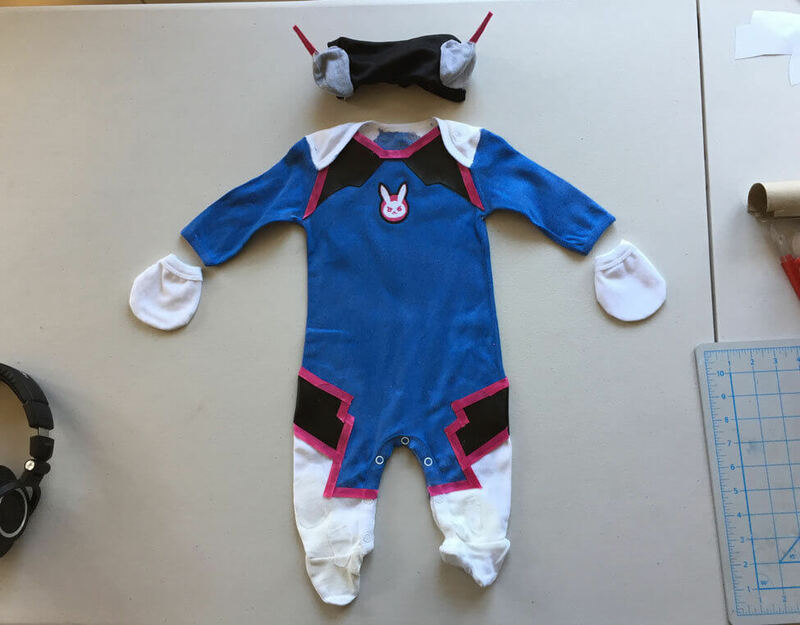 If possible, find one with long sleeves and covered footies to match D.Va’s bodysuit. 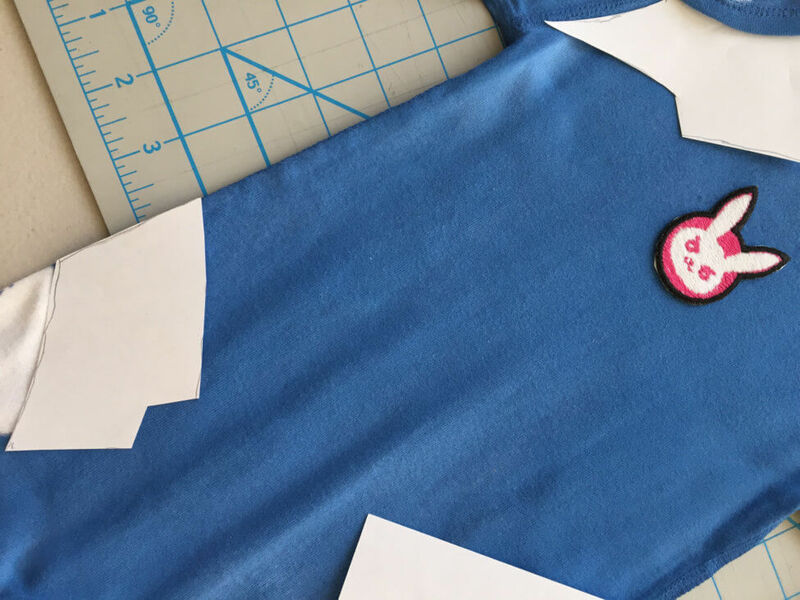 Use a seam ripper to remove any appliques. 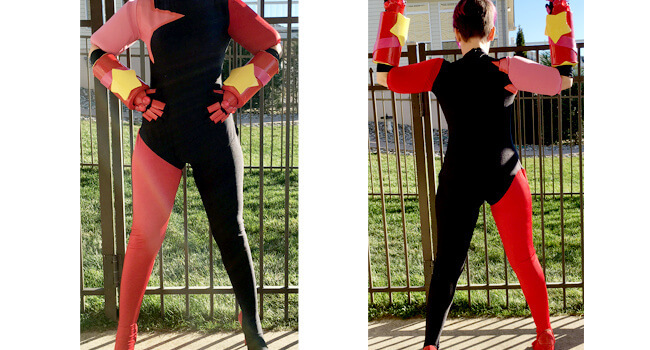 Use tape to mask the areas of the suit you want to keep white, including the shoulders and legs. 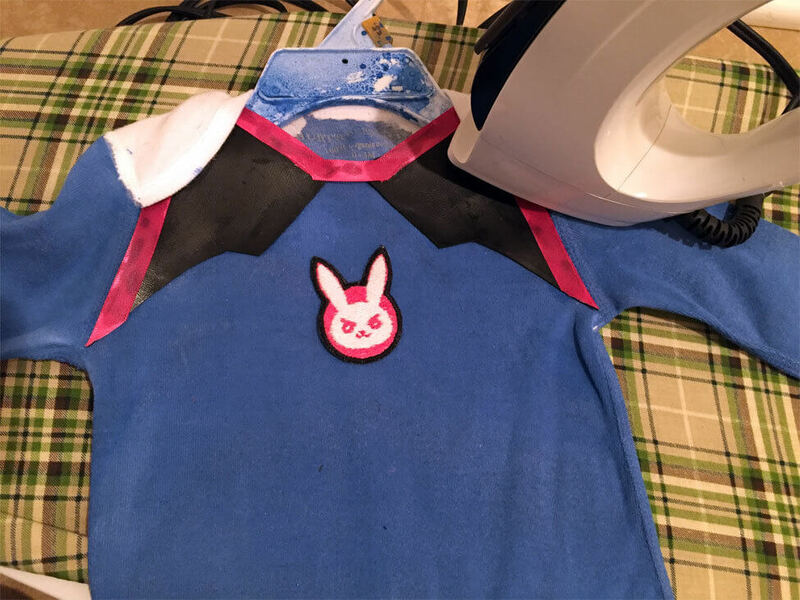 Instead of trying to replicate D.Va’s suit exactly, the costume will turn out better if you follow the seams and folds of your onesie. For example, you can see here that I’ve followed the contours of the shoulder flaps. Make sure you have full coverage with the tape. Apply pressure over the tape, especially the edges, and make sure the it’s on there nice and tight. You really want to avoid paint bleeding as much as possible. 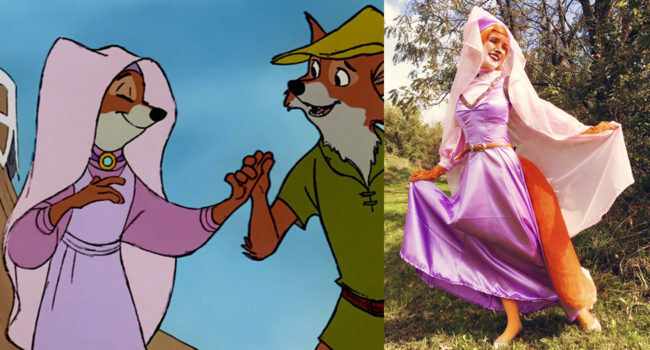 Next you’ll want to paint the onesie. Go outdoors (gasp) where you have plenty of space and ventilatep. Find a large piece of cardboard for backing, and apply the periwinkle fabric spray in even coats. Angle your aim away from the masked sections, and don’t spray the edges too heavily to avoid bleed. You can touch the edges up after you remove the tape with a brush. I ended up with a little bit of bleed, but that’ll be covered up with pink ribbon soo enough. Don’t worry about messy edges, but you absolutely want to avoid are big splotches of blue paint in the middle of the white sections. If you do get some, I recommend painting over it with white fabric paint or patching it with spare white fabric. 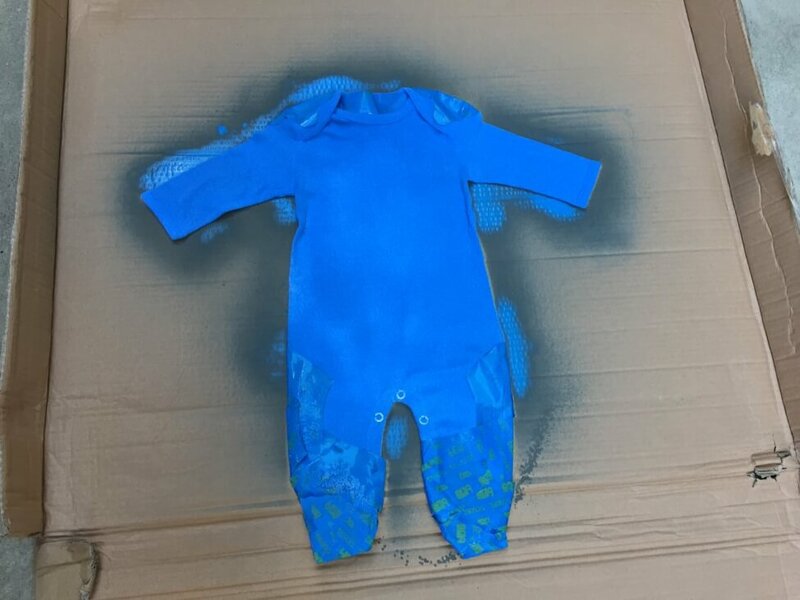 Hang the onesie and let the paint dry for 24 to 72 hours. You can use a hair dryer to speed up the process. Next we’ll get to work on the black sections. Use paper to cut out templates for the shapes. Don’t be afraid to make several until you get it exactly how you like. 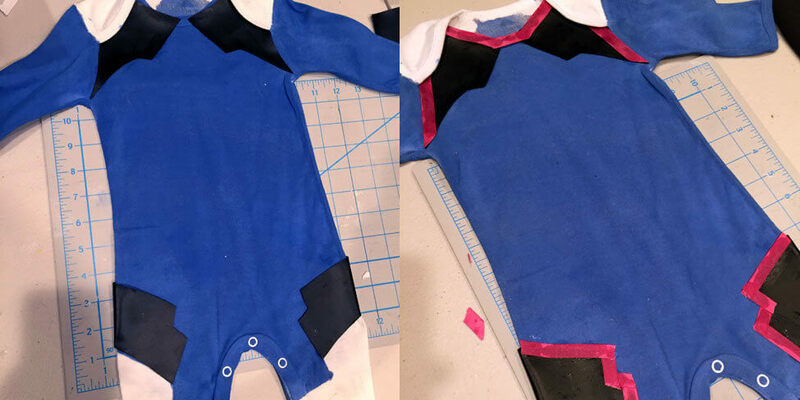 Here, we have one template for the shoulders, and a large continous piece that starts at the hips and wraps around the back. Notice how they’ve been shaped to line up with the boundaries between the white and blue sections. 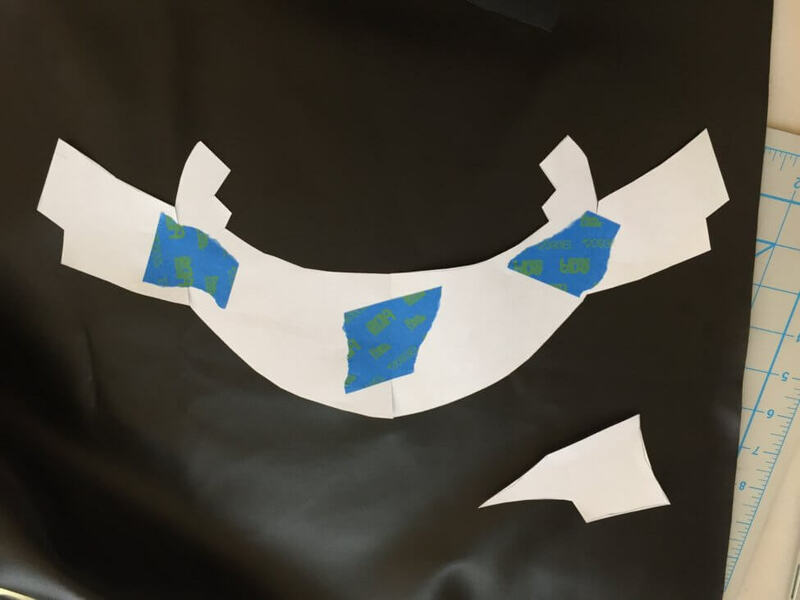 Trace the templates onto your black fabric. Then cut them out with scissors using long steady cuts to ensure smooth edges. 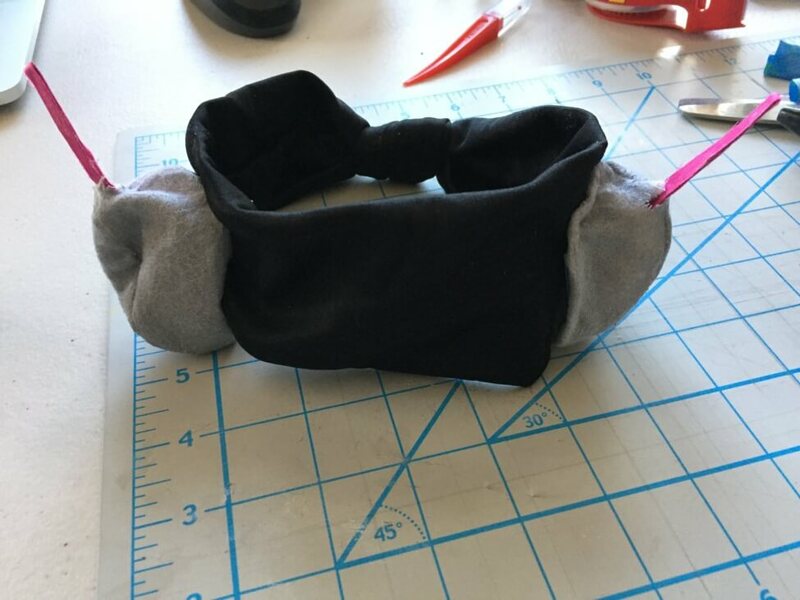 Use a strong fabric glue to attach the black fabric to the onesie. Press it with a weight, such as a stack of books, and let the glue set for an hour or two. Check that it’s attached well and touch up any loose edges with more glue. Take your pink ribbon and cut pieces to cover up the edges between the blue, black, and white sections. This will give the costume a much cleaner look. Curves like the onesie’s collar can be tricky, so I recommend avoiding the curves and instead making it angular by cutting short segments. 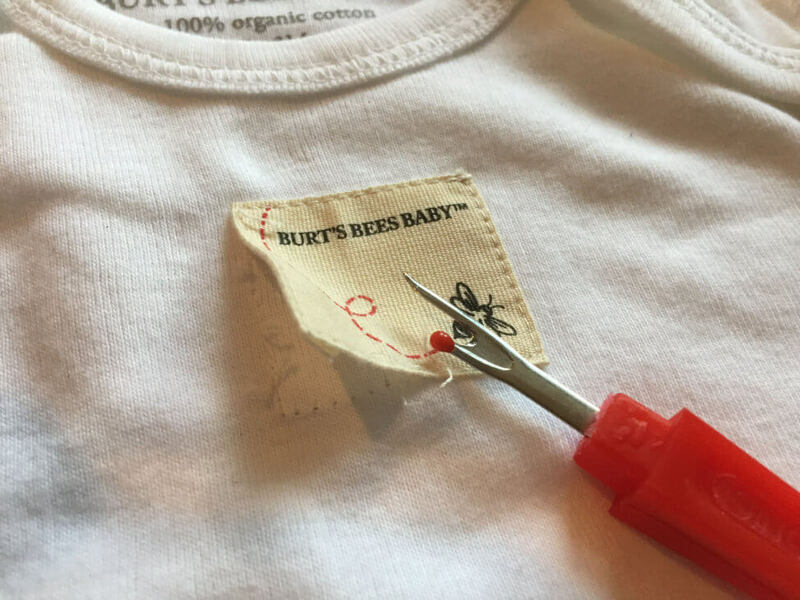 Once your ribbon has been attached, iron the bunny patch to the chest of the onesie. After the patch is set, start work on the headpiece. 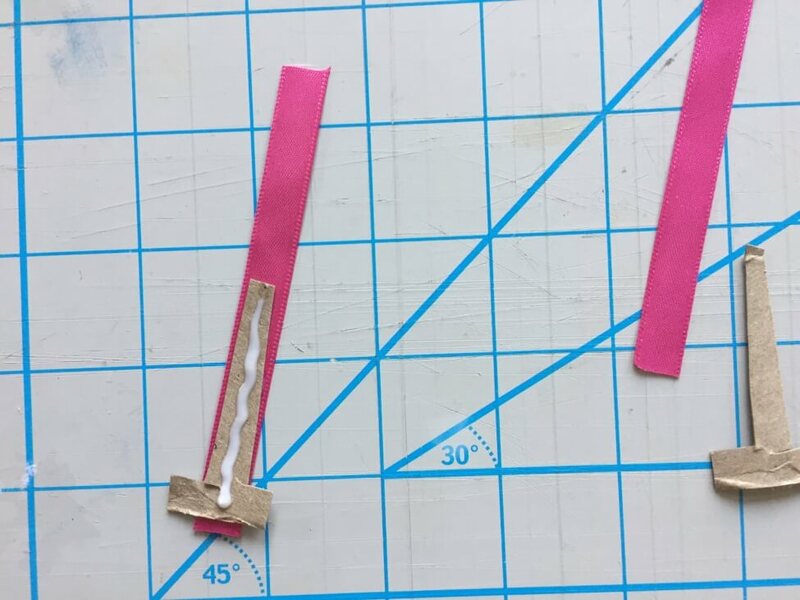 Take some rigid paper like cardboard and cut it into tapered pieces for the pink antennas. Cut it so there’s a wide base that will be used to hold it onto the rest of the headpiece. Glue pink ribbon onto the antennas. 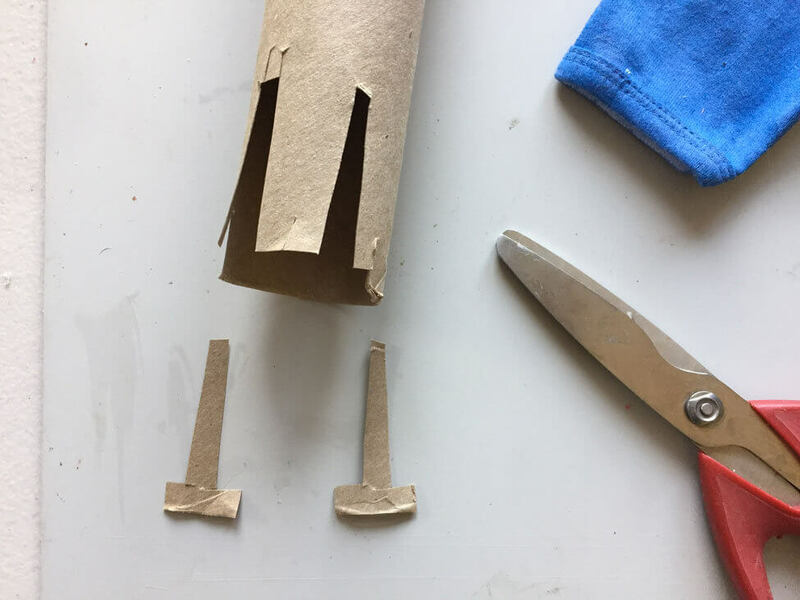 Trim the ribbon to match the tapered shape of the cardboard underneath. 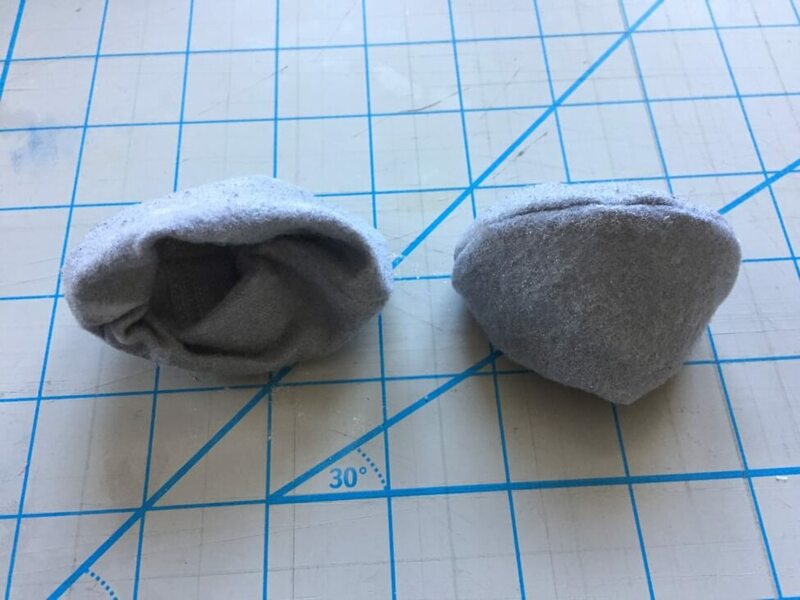 Take the gray mittens (or white mittens that have been painted gray) and stuff the cuffs into themselves, rolling them into little balls of fabric. Cut a notch into each ball in order to insert the pink antenna pieces. Apply a dab of glue to the base of the antenna pieces and attach it to the inside of the gray fabric. 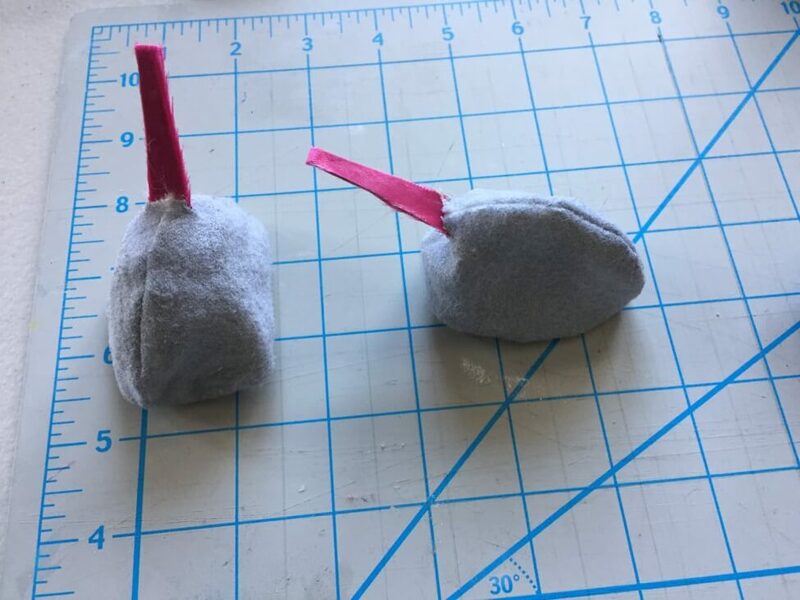 Take the gray balls and attach them to your black head ribbon. Finally, apply pink face paint in triangle shapes on the cheeks to complete Hanna Song’s war paint look. Enjoy your completed costume! 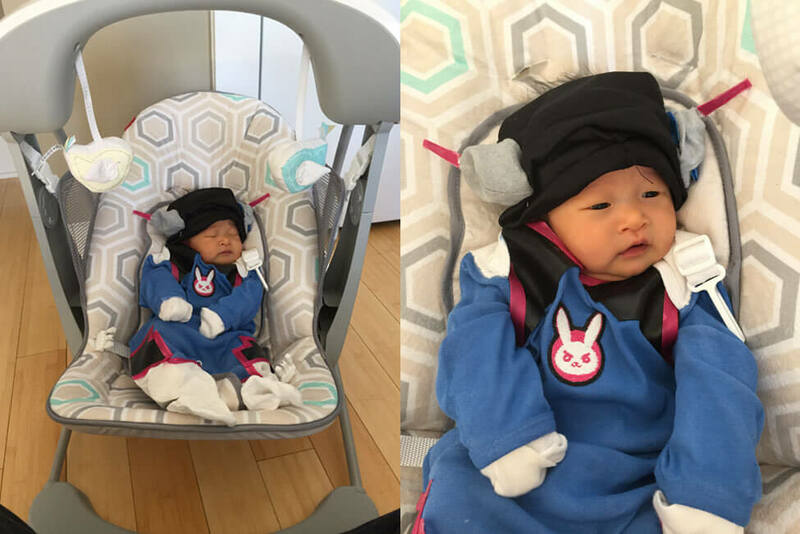 Here Baby D.Va is suited up in a Fisher Price mecha. 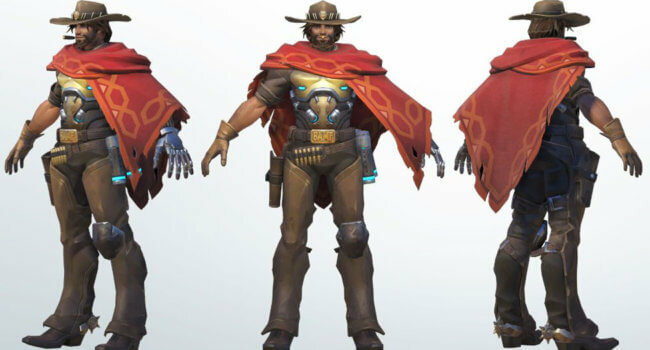 In Overwatch, Grillmaster:76 is a festive skin for Soldier: 76. 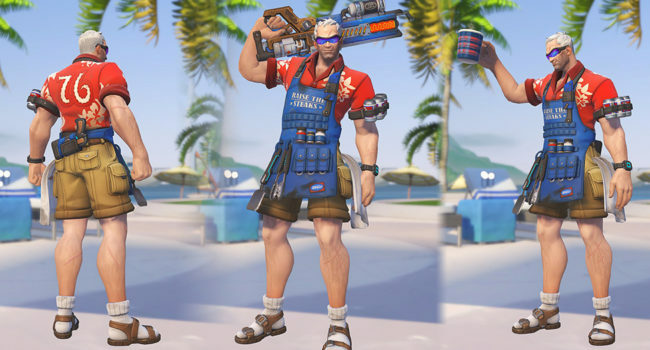 Released as part of Summer Games 2017 alongside Côte d’Azur Widowmaker, he’s ready to man the grill and flip some burgers as he cracks some dad jokes. 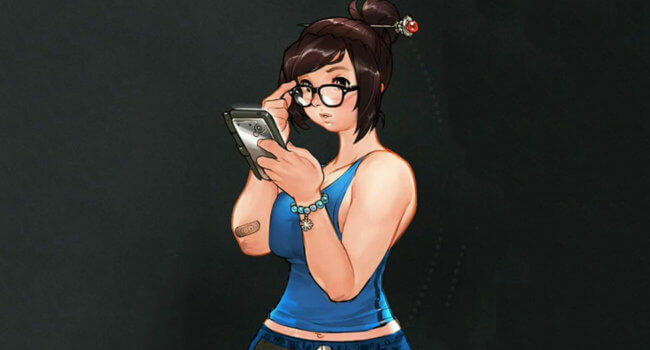 In Overwatch, Mei Ling Zhou is a scientist who has taken it into her own hands to fight climate change. She fights global warming by freezing everything in her sight using her powers including endothermic blaster, cryo-freeze, and blizzard.